On Saturday, Countess Anna of Arco-Zinneberg married Colin McKenzie in Niederalteich in Bavaria. 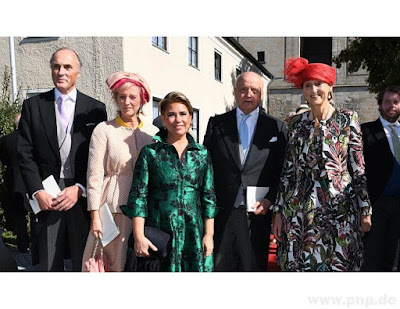 The bride is the daughter of Count Riprand of Arco-Zinneberg and Archduchess Maria Beatrice of Austria-Este. 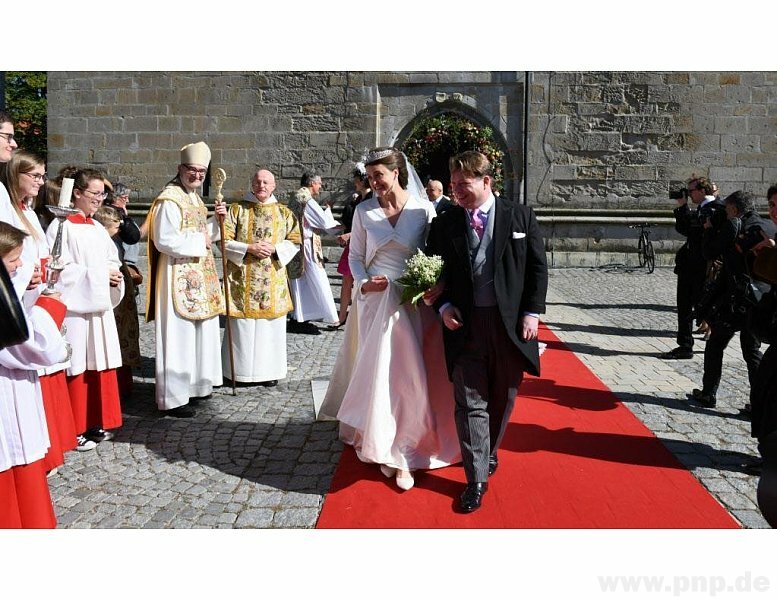 As both Anna and her parents have attended a number of weddings of the Luxembourg and Liechtenstein weddings, it's no surprise that there were a lot of grand ducal and princely guests in return. In the pictures by the local press I could spy Grand Duchess Maria Teresa, Hereditary Grand Duke Guillaume and Hereditary Grand Duchess Stéphanie, Archduchess Marie-Christine and husband Count Rodolphe de Limburg-Stirum as well as Princess Margaretha and Prince Nikolaus with Prince Josef. I may have also seen Prince Guillaume. Let's keep our fingers crossed for more pictures to come up as I'm sure that there were more Luxo-Liechtenstein guests. Hopefully more on this in our weekly roundup post!